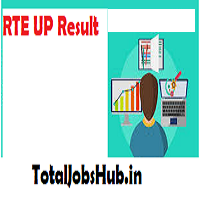 RTE UP Result 2019 rte25.upsdc.gov.in Selection List Merit List: Let us look up for RTE UP Result 2019 for the current academic session. The state government of Uttar Pradesh has announced Lottery-wise results under Right to Admission scheme to allow schools to the children belonging to weaker sections of the society. For those, who applied for the admission to private schools, this news section is must to read. There were four phases in which the lottery got held and those who are allotted schools district-wise should be aware of their status. Dear Parents read furthermore to avail rte25.upsdc.gov.in Selection List pdf for your kids. Beneficiary Group: Children from SC/ST, EWS, PWD, and children Widowed Mother. Be informed that the state government has issued RTE UP Result 2019 for different phases on different dates. Phase I, II, III, IV Merit List was announced on March, April, May and June respectively. Whereas, the admissions are to take place on the first days of April, May, and July. Those, who are keenly awaiting UP RTE Admission Merit List, should go through this data and avail more details regarding the seat allotment process and the next important process to follow with their documents ready. This is to inform all the concerned parents and guardians that they need to check RTE UP Result according to the applied city/district and check whether they have been allotted the seats for admission or not. In the following part of this news segment, the Districts names are listed along with further information and links that need to be followed. As per the previous records, students from 49 districts were allotted seats as per the admission rules and policies under the Right to Education initiative with taking 14000+ disadvantaged students in. There are overall 26 districts participating in the admission process for which the seats are to be expanded according to revised rules and regulations implemented this year. Visit the main website authorized by Uttar Pradesh Government which is, “rte25.upsdc.gov.in” and refer to the right-hand-side corner of the homepage. In the admission, RTE UP Results section find a listed link to get to the list of allotted schools displayed district-wise. Select “District”, then “Lottery slot” viz. Lottery 1, Lottery 2, Lottery 3, and Lottery 4, Choose school name from the next list and find out your status. For convenient use, users can also export the selection list in a Microsoft Excel format.